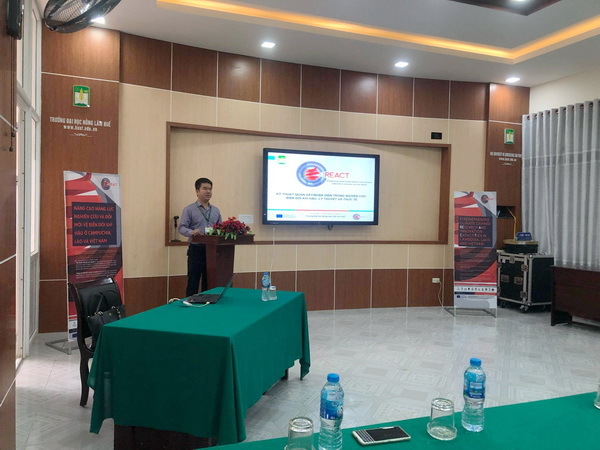 The 4th Internal Replication Training on “Impact of Climate Change on Forest Management and Observation techniques” had been organized by REACT partner from Hue University of Agriculture and Forestry on March 16th, 2019. The main aim of the training that took place at Hue University of Agriculture and Forestry (Vietnam) was to increase the knowledge on a methodology and tools for observation techniques for research on climate change; as well as to enhance the understanding on the linkage between forest and climate change. The training attracted about 25 participants including researchers, government officers and master students from HUAF.